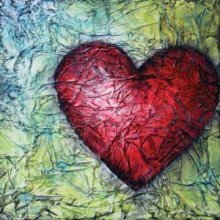 Donna Downey | Paint. Draw. Blend. 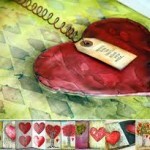 Mixed media artist Donna Downey is a bestselling author, instructor and all-around creative force. 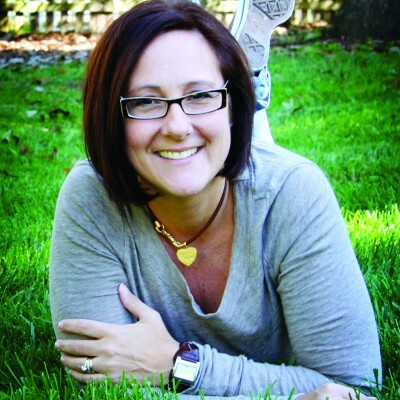 Donna is a born experimenter, blending and transforming both traditional and unexpected items into meaningful pieces of self expression. 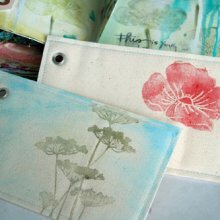 In addition to teaching workshops around the world, she also runs workshops at her studio in North Carolina (USA). 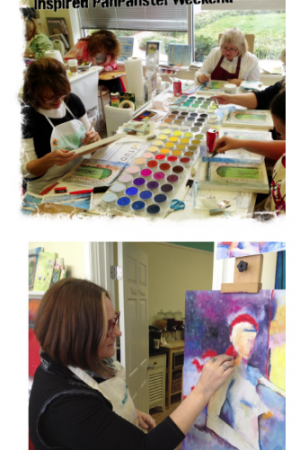 A list of the workshops that Donna is currently teaching (USA and internationally) can be found here. 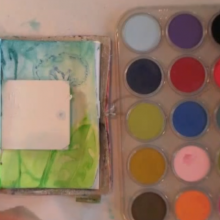 Donna uses PanPastel regularly in her artwork. 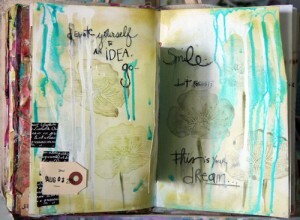 Using PanPastel on it’s own for combined with other media for a variety of inspirational mixed media techniques. 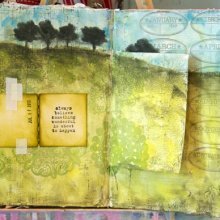 Click videos below to watch Donna using PanPastel for a variety of mixed media techniques. 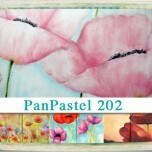 Donna uses PanPastel with gesso and acrylic ground for pastels. 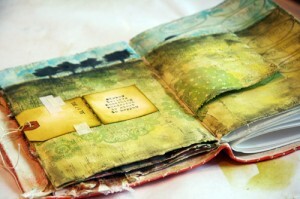 Includes video tutorial. 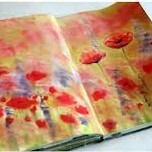 Donna uses PanPastel with canvas. 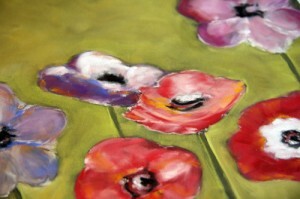 Take an online PanPastel class with Donna (below). 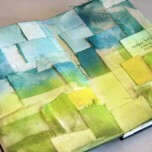 Join Donna Downey at her studio in North Carolina. 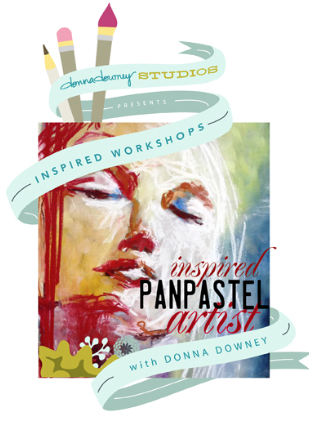 Immerse yourself in the art of PanPastel in this 4 day workshop with Donna. 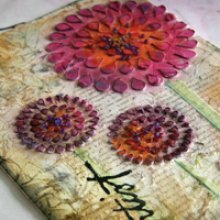 Eeach day you will be introduced to new surfaces, tools, substrates, and textures building a working repertoire of techniques as you create you create several beautiful finished pieces PanPastel artwork.